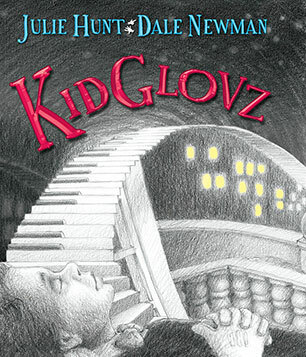 One of our recommended reads for December is the wonderful KidGlovz by Julie Hunt. KidGlovz is a graphic novel which recently won the Children’s category at the Queensland Literary Awards. 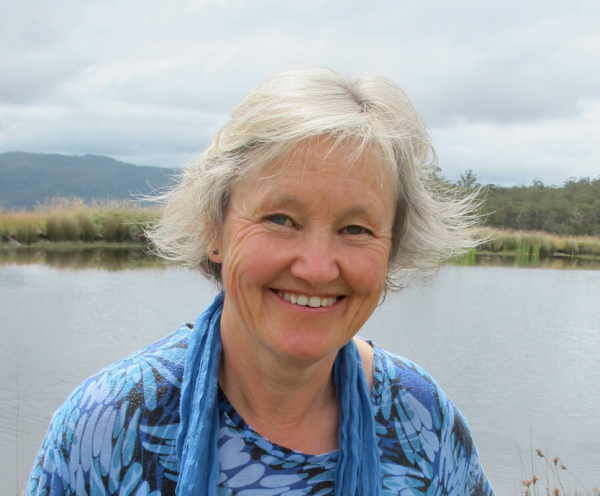 We are so pleased that Julie, who lives in Tasmania, could take the time to have a chat with us about KidGlovz and her other work. Huge congratulations on your recent award Julie! We were so pleased to see KidGlovz win the Griffith University Children’s Book Award. It must be quite unusual for a graphic novel to win a national award? Yes, it is unusual. Graphic novels don’t feature often in major awards, partly because there are so few of them compared with ordinary novels but I also feel there’s some resistance despite The Arrival, Maus, Persepolis and The Rabbi’s Cat, to name a few of my favourites. Children love graphic novels but some teachers and librarians possibly see them as a lesser form of literature. And when they come across a book like KidGlovz they don’t know where to place it. It’s not a superhero adventure and it’s not a funny comic book (although it does have humour). It’s a serious but fantastical tale about a boy finding his way in the world. Winning the award is heartening. It validates the story and the way it’s told. How did the collaboration between yourself and Dale Newman work? I wrote panel descriptions in the script, explaining what I imagined would be in the pictures and Dale interpreted these as she saw fit. It was a major project, 300 pages and many more hundreds of drawings – over seven hundred I think it was. Dale sent wads pages to me and to Sue and Erica at Allen and Unwin along the way for feedback. It was exciting to be see the story come to life before my eyes. Tell us about how your travels to Romania helped with generating ideas for KidGlovz. I went to Romania to find the story. I had a feeling that’s where it would be, not that it’s actually about Romania or even set there. I went for a walk in the Carpathian Mountains and everything that happened along the way went straight into the book: the people I met, the landscape, the goats, the music, the folktales and the feel of the place. It was like walking through a story. I came back with pages of notes and shaped it into a script. Do you find that living in Tasmania also has a direct influence on your work? Perhaps an indirect one – the fresh air, the rural life, the countryside. My stories seem to be full of landscapes and farming and wild places so Tasmania probably does have an effect. Do you feel that Tassie is a good place to be a writer in terms of resources and a supportive community? Absolutely. People are open and helpful. We have excellent booksellers who support local writers, a great writers’ centre, many inspired teachers and a thriving arts community. We hear that you might be working on a sequel to KidGlovz – are you able to share any details of that with us or are you still in the early stages? I’ve written Shoestring which is the story of KidGlovz’s best friend and what happens to him when he comes under the power of the magical gloves which featured in the first book. It’s a hybrid novel – part graphic panels and part prose. Dale is working on it now and it will be published in 2018. I also have vague ideas for a third book in the series. Read a lot – that’s the main thing. Read and write and try things out. See where your interest leads you and cast the net wide. Go to workshops and conferences. Find a writing group if you can so you have company along the way. Anyone interested in writing and illustrating for kids is welcome to come to CWILLS (Childrens’ Writers and Illustrators) – a local group which meets at State Cinema Cafe in Hobart on the first Tuesday of the month at 5pm. Email Gay McKinnon to get on the mailing list. SCBWI (Society of Children’s Book Writers and Illustrators) is also a great organisation to join. Do you have any plans to expand into writing for young adults or adult fiction? I began by writing picture books and over the years the audience I’ve been writing for has got progressively older. I was imagining it would continue in this vein until recently when the book I was writing for YA changed its mind midstream. Sometimes the writing has its own ideas. This book, Shine Mountain, is now for 9–12 year olds and will be published in August 2017. People say children’s writers have an inner age and once they find it they stick with it. I think mine is about eleven. What do you enjoy reading yourself? I read a lot of picture books as I’m always trying to work out how to do it, how to say huge things using very few words. I also read novels for children, probably too many as it means I don’t have time to read adult fiction. Lately I’ve been reading lots of stories written by children, part of a school writing program. It’s interesting trying to understand what works and why and deciding how best to help young writers find their voice. At the moment I’m rereading The Earthsea Quartet by Ursula Le Guin, an old favourite.